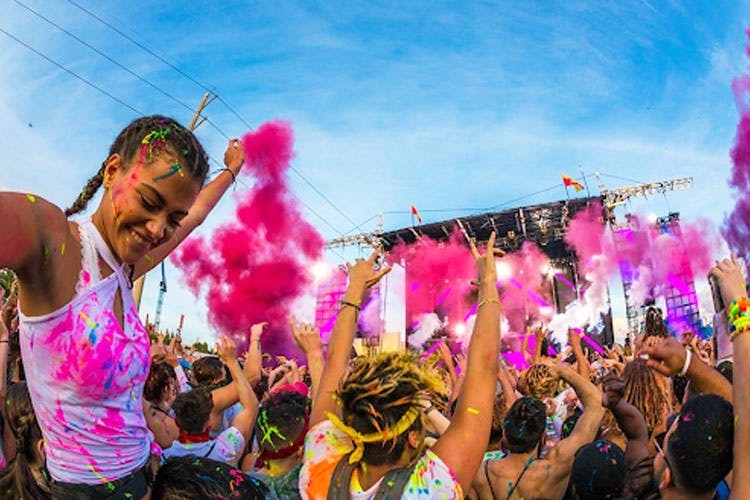 Life In Color is a music festival from Miami that's coming to India for the first time. It's going be a massive party with thousands of gallons of paint thrown on the audience throughout–it's called the world's largest paint party for a reason! Keeping up with its theme and the name, there will also be DIY paint stations where you can make art on the walls (or on your friends), live murals, coloured smoke in the air, soaring aerial acts, neon paints, stilt walkers, contortionists, and fire shows. Early bird passes starting at INR 1,500 will include entry (only) to the festival. Some of the biggest DJs will be playing their sounds—Diplo will headlining this India edition with names like 4B, Divine, Ritviz and Smokey. The festival will happen on Nov 18, 3pm onwards at Jawaharlal Nehru Stadium.